*MSRP $21,588. This lease for a 2020 Toyota Corolla LE is available to well-qualified lessees and requires first month’s payment of $312 and TT&L due at signing. $0 security deposit. 10k miles per year, additional overage fee of 25 cents/mile may apply. Lessee is responsible for all maintenance unless otherwise specified. Additional fees for early termination, payment delinquency, and/or excessive wear and tear may apply. Lessee must provide appropriate auto insurance throughout lease term of 48 months. Must take delivery by 4/30/2019. See Continental Auto Leasing for details. Photo shown is for display purposes only. Actual product may vary. *MSRP $40,870. This lease for a 2019 Toyota Tacoma TRD Sport 4x4 is available to well-qualified lessees and requires first month’s payment of $297 and TT&L due at signing. $0 security deposit. 10k miles per year, additional overage fee of 25 cents/mile may apply. Lessee is responsible for all maintenance unless otherwise specified. Additional fees for early termination, payment delinquency, and/or excessive wear and tear may apply. Lessee must provide appropriate auto insurance throughout lease term of 48 months. Must take delivery by 4/30/2019. See Continental Auto Leasing for details. Photo shown is for display purposes only. Actual product may vary. *MSRP $29,068. This lease for a 2019 Toyota Rav4 XLE FWD is available to well-qualified lessees and requires first month’s payment of $335 and TT&L due at signing. $0 security deposit. 10k miles per year, additional overage fee of 25 cents/mile may apply. Lessee is responsible for all maintenance unless otherwise specified. Additional fees for early termination, payment delinquency, and/or excessive wear and tear may apply. Lessee must provide appropriate auto insurance throughout lease term of 48 months. Must take delivery by 4/30/2019. See Continental Auto Leasing for details. Photo shown is for display purposes only. Actual product may vary. *MSRP $42,830. This lease for a 2019 Jeep Grand Cherokee Limited 4x2 is available to well-qualified lessees and requires first month’s payment of $436 and TT&L due at signing. $0 security deposit. 10k miles per year, additional overage fee of 25 cents/mile may apply. Lessee is responsible for all maintenance unless otherwise specified. Additional fees for early termination, payment delinquency, and/or excessive wear and tear may apply. Lessee must provide appropriate auto insurance throughout lease term of 48 months. Must take delivery by 4/30/2019. See Continental Auto Leasing for details. Photo shown is for display purposes only. Actual product may vary. *MSRP $26,462. This lease for a 2019 Toyota Camry LE is available to well-qualified lessees and requires first month’s payment of $326 and TT&L due at signing. $0 security deposit. 10k miles per year, additional overage fee of 25 cents/mile may apply. Lessee is responsible for all maintenance unless otherwise specified. Additional fees for early termination, payment delinquency, and/or excessive wear and tear may apply. Lessee must provide appropriate auto insurance throughout lease term of 48 months. Must take delivery by 4/30/2019. 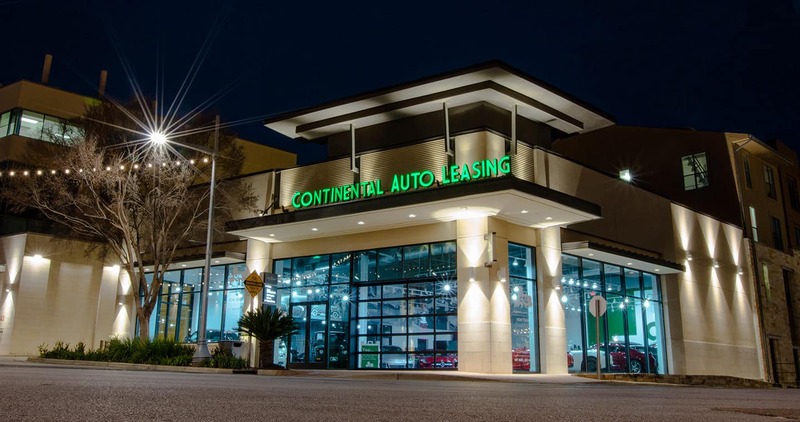 See Continental Auto Leasing for details. Photo shown is for display purposes only. Actual product may vary. *MSRP $41,700. This lease for a 2019 Jeep Wrangler Unlimited Sport is available to well-qualified lessees and requires first month’s payment of $372 and TT&L due at signing. $0 security deposit. 10k miles per year, additional overage fee of 25 cents/mile may apply. Lessee is responsible for all maintenance unless otherwise specified. Additional fees for early termination, payment delinquency, and/or excessive wear and tear may apply. Lessee must provide appropriate auto insurance throughout lease term of 48 months. Must take delivery by 4/30/2019. See Continental Auto Leasing for details. Photo shown is for display purposes only. Actual product may vary. *MSRP $42,453. This lease for a 2019 Toyota 4Runner SR5 Premium 4x4 w/ 3rd Row Seat is available to well-qualified lessees and requires first month’s payment of $369 and TT&L due at signing. $0 security deposit. 10k miles per year, additional overage fee of 25 cents/mile may apply. Lessee is responsible for all maintenance unless otherwise specified. Additional fees for early termination, payment delinquency, and/or excessive wear and tear may apply. Lessee must provide appropriate auto insurance throughout lease term of 42 months. Must take delivery by 4/30/2019. 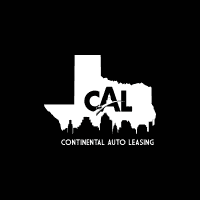 See Continental Auto Leasing for details. Photo shown is for display purposes only. Actual product may vary. *MSRP $46,345. This lease for a 2019 RAM 1500 Big Horn Crew / Lone Star 4x2 Crew Cab is available to well-qualified lessees and requires first month’s payment of $484 and TT&L due at signing. $0 security deposit. 10k miles per year, additional overage fee of 25 cents/mile may apply. Lessee is responsible for all maintenance unless otherwise specified. Additional fees for early termination, payment delinquency, and/or excessive wear and tear may apply. Lessee must provide appropriate auto insurance throughout lease term of 42 months. Must take delivery by 4/30/2019. See Continental Auto Leasing for details. Photo shown is for display purposes only. Actual product may vary..
*MSRP $42,571. This lease for a 2019 Toyota Highlander XLE V6 FWD is available to well-qualified lessees and requires first month’s payment of $399 and TT&L due at signing. $0 security deposit. 10k miles per year, additional overage fee of 25 cents/mile may apply. Lessee is responsible for all maintenance unless otherwise specified. Additional fees for early termination, payment delinquency, and/or excessive wear and tear may apply. Lessee must provide appropriate auto insurance throughout lease term of 42 months. Must take delivery by 4/30/2019. See Continental Auto Leasing for details. Photo shown is for display purposes only. Actual product may vary. *MSRP $49,272. This lease for a 2019 Toyota Tundra SR5 Crewmax 4x4 (with Texas Package) is available to well-qualified lessees and requires first month’s payment of $318 and TT&L due at signing. $0 security deposit. 10k miles per year, additional overage fee of 25 cents/mile may apply. Lessee is responsible for all maintenance unless otherwise specified. Additional fees for early termination, payment delinquency, and/or excessive wear and tear may apply. Lessee must provide appropriate auto insurance throughout lease term of 42 months. Must take delivery by 4/30/2019. See Continental Auto Leasing for details. Photo shown is for display purposes only. Actual product may vary. *MSRP $21,170. This lease for a 2019 Honda Civic LX is available to well-qualified lessees and requires first month’s payment of $273 and TT&L due at signing. $0 security deposit. 10k miles per year, additional overage fee of 25 cents/mile may apply. Lessee is responsible for all maintenance unless otherwise specified. Additional fees for early termination, payment delinquency, and/or excessive wear and tear may apply. Lessee must provide appropriate auto insurance throughout lease term of 48 months. Must take delivery by 4/30/2019. See Continental Auto Leasing for details. Photo shown is for display purposes only. Actual product may vary. *MSRP $29,727. This lease for a 2019 Subaru Outback 2.5i Premium AT is available to well-qualified lessees and requires first month’s payment of $399 and TT&L due at signing. $0 security deposit. 10k miles per year, additional overage fee of 25 cents/mile may apply. Lessee is responsible for all maintenance unless otherwise specified. Additional fees for early termination, payment delinquency, and/or excessive wear and tear may apply. Lessee must provide appropriate auto insurance throughout lease term of 48 months. Must take delivery by 4/30/2019. See Continental Auto Leasing for details. Photo shown is for display purposes only. Actual product may vary. *MSRP $25,395. This lease for a 2019 Honda CR-V LX 2WD is available to well-qualified lessees and requires first month’s payment of $275 and TT&L due at signing. $0 security deposit. 10k miles per year, additional overage fee of 25 cents/mile may apply. Lessee is responsible for all maintenance unless otherwise specified. Additional fees for early termination, payment delinquency, and/or excessive wear and tear may apply. Lessee must provide appropriate auto insurance throughout lease term of 48 months. Must take delivery by 4/30/2019. See Continental Auto Leasing for details. Photo shown is for display purposes only. Actual product may vary. *MSRP $30,280. This lease for a 2019 Dodge Challenger SXT is available to well-qualified lessees and requires first month’s payment of $354 and TT&L due at signing. $0 security deposit. 10k miles per year, additional overage fee of 25 cents/mile may apply. Lessee is responsible for all maintenance unless otherwise specified. Additional fees for early termination, payment delinquency, and/or excessive wear and tear may apply. Lessee must provide appropriate auto insurance throughout lease term of 42 months. Must take delivery by 4/30/2019. See Continental Auto Leasing for details. Photo shown is for display purposes only. Actual product may vary. *MSRP $43,380. This lease for a 2019 INFINITI QX50 Luxe FWD is available to well-qualified lessees and requires first month’s payment of $499 and TT&L due at signing. $0 security deposit. 10k miles per year, additional overage fee of 25 cents/mile may apply. Lessee is responsible for all maintenance unless otherwise specified. Additional fees for early termination, payment delinquency, and/or excessive wear and tear may apply. Lessee must provide appropriate auto insurance throughout lease term of 48 months. Must take delivery by 4/30/2019. See Continental Auto Leasing for details. Photo shown is for display purposes only. Actual product may vary. *MSRP $42,885. This lease for a 2019 INFINITI Q50 3.0t Luxe RWD is available to well-qualified lessees and requires first month’s payment of $409 and TT&L due at signing. $0 security deposit. 10k miles per year, additional overage fee of 25 cents/mile may apply. Lessee is responsible for all maintenance unless otherwise specified. Additional fees for early termination, payment delinquency, and/or excessive wear and tear may apply. Lessee must provide appropriate auto insurance throughout lease term of 48 months. Must take delivery by 4/30/2019. See Continental Auto Leasing for details. Photo shown is for display purposes only. Actual product may vary. *MSRP $24,640. This lease for a 2019 Honda Accord LX is available to well-qualified lessees and requires first month’s payment of $269 and TT&L due at signing. $0 security deposit. 10k miles per year, additional overage fee of 25 cents/mile may apply. Lessee is responsible for all maintenance unless otherwise specified. Additional fees for early termination, payment delinquency, and/or excessive wear and tear may apply. Lessee must provide appropriate auto insurance throughout lease term of 42 months. Must take delivery by 4/30/2019. See Continental Auto Leasing for details. Photo shown is for display purposes only. Actual product may vary. 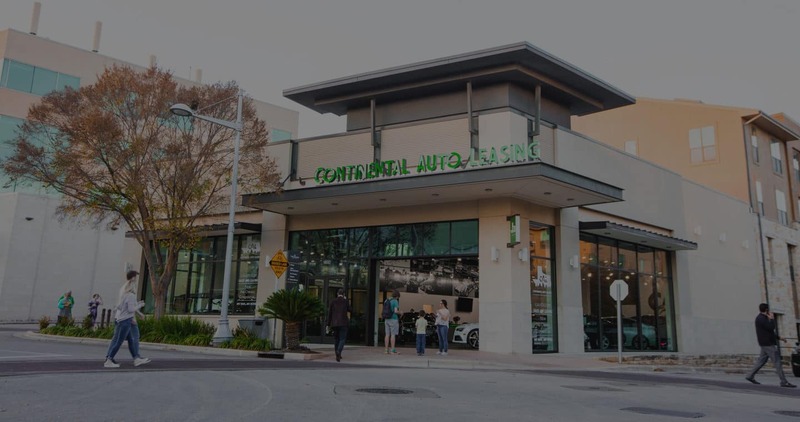 Continental Auto Leasing is a proud member of the Continental Automotive Group, which has been serving the greater Austin community for over 50 years. 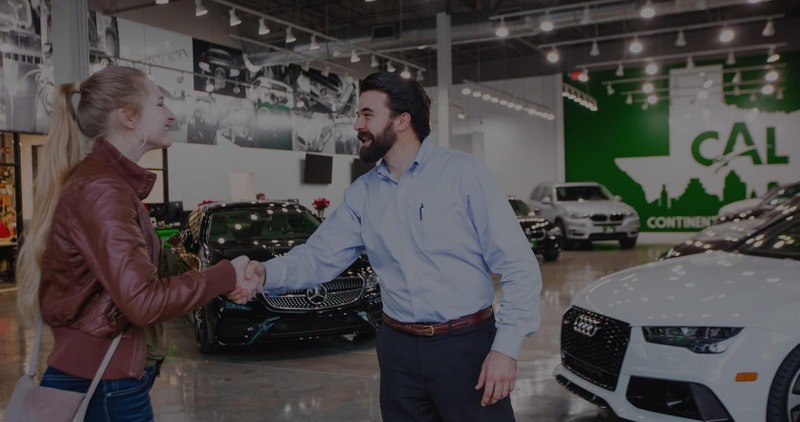 Continental Auto Leasing has created a new path for leasing; with years of leasing experience and our ability to work with many of the largest lending sources in the nation, our team has the knowledge and resources to offer the most competitive pricing. Explore the ways we are reimagining the leasing process. Skip the wait at a dealership. 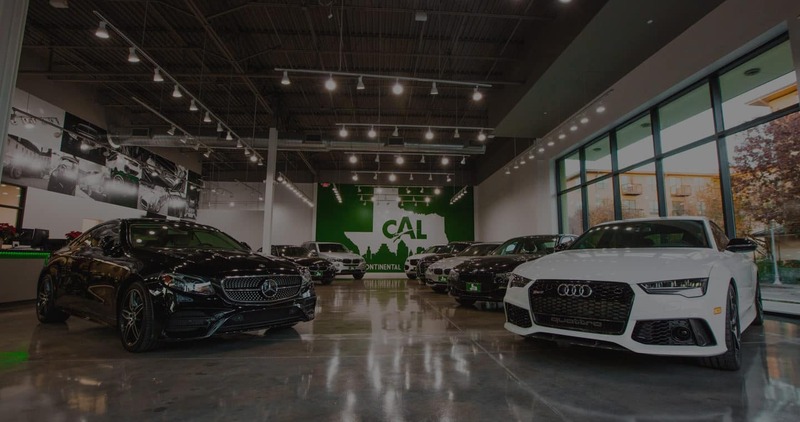 Lower payments when you lease. Convenient home or office delivery. We are conveniently located at The Domain in Austin.